AJAX is a combination of Web programming languages designed to alter the tradition Web-server centric view of interactive Web content by offloading some processing to the Web browser. The technique reduces the amount of information transferred between the browser and Web server, and allows the browser to refresh pages without a complete download of new content from the server. This tends to increase the user's browsing speed and offload the Web server processor. It also allows better usability from the user's point of view. AJAX is designed to be cross-platform, allowing any operating system and Web browser to be used. AJAX is based on open standards. Since Visual Studio 2008 supports targeting different .NET implementations, you can specifically build for .NET 3.5 AJAX or the older .NET 2.0 applications with ASP.NET AJAX 1.0 instead. The AJAX implementation in .NET 3.5 is a superset of the older AJAX 1.0 implementation. Running AJAX 1.0 code on the newer versions of .NET is no problem, but trying to run applications from AJAX 3.5 on older AJAX 1.0 implementations can cause errors. Existing AJAX 1.0 applications can be upgraded. When you try to open an AJAX 1.0 application with Visual Studio 2008, you are asked if you want to perform an upgrade to use .NET 3.5. There is no AJAX code change involved in the upgrade, but once upgraded using the new code on older .NET 2.0 Framework machines can be problematic because you should recompile the ASP.NET AJAX control libraries, which could cause compatibility issues with .NET 2.0. If you wish to use Visual Studio 2008 to modify or create ASP.NET 2.0 and AJAX 1.0 applications, you should not allow the upgrade process to start. You must be sure you select the proper target for the application, so that AJAX 1.0 is used. Finally, ASP.NET 3.5 AJAX is tightly integrated with the new IIS 7.0 release, and both can share pipelines and techniques for authentication, allowing for a more unified deployment of AJAX-based applications. One of the most notable extensions adds to .NET 3.5 AJAX is a preview function that allows you to modify the browser history stack links to updated content. Normally, using the Back button on a browser returns you to a previous page's content and state, without any change in state (in other words, any background processing that has been performed since the page loaded is lost). Using AJAX code, you can provide a Back button function that includes all updates performed since the original page content download. Both the Back and Forward browser buttons then become more useful and interactive for the user, acting more like live navigation buttons through a locally-hosted application instead of static downloaded Web server content. Managing the browser history is accomplished by creating the equivalent of bookmarks (called "history points") that a user can navigate to using the Back and Forward buttons. The first step in developing an AJAX-based site is to determine the functionality of the site, and where AJAX can be of benefit. Issues such as data source access, user interaction models, and the overall presentation of the site come into play. One common use of AJAX is for site navigation; as sites become more complex and a user's movement through a site becomes more convoluted, using AJAX to handle site navigation adds a considerable amount to an end-user's experience. AJAX can easily create site maps with locators to show the current location, as well as logical navigation stapes, for example. AJAX is also useful for maintaining a consistent Web site look and feel, such as applying a theme and master page layout to each site page, whether created from static or dynamic sources. You can now either code manually, or drag and drop control elements such as buttons, images, and other elements to the page, and Visual Studio 2008 will populate the code for you. While simple sites that use AJAX can be completed with none or a minimal amount of coding, as you would expect more complex sites require a mix of the use of the Visual Studio 2008 controls and hand coding to accomplish the desired goal. The process, though, is much easier than earlier approaches where every line of code was manually created and maintained in text editors. 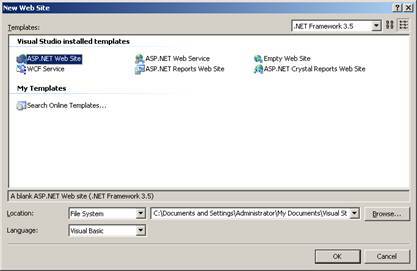 ASP.NET 3.5 AJAX adds a considerable amount of improvement over the earlier AJAX 1.0 library, and, coupled with Visual Studio 2008, makes coding AJAX-based applications easier. AJAX as a technology has gained considerable acceptance in the last couple of years, and the improvements offered by this latest release will help developers add more flexibility and power to their Web applications. For the end user, AJAX offers a better experience, with less waiting for refreshes, and a more immersive, interactive experience. 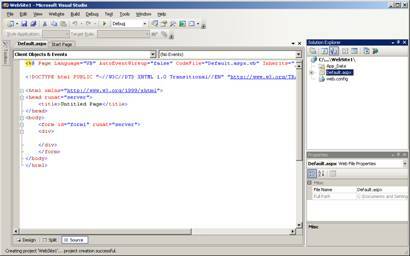 Microsoft's ASP.NET 3.5 AJAX is a solid move to a more flexible and powerful development tool for Web programmers.